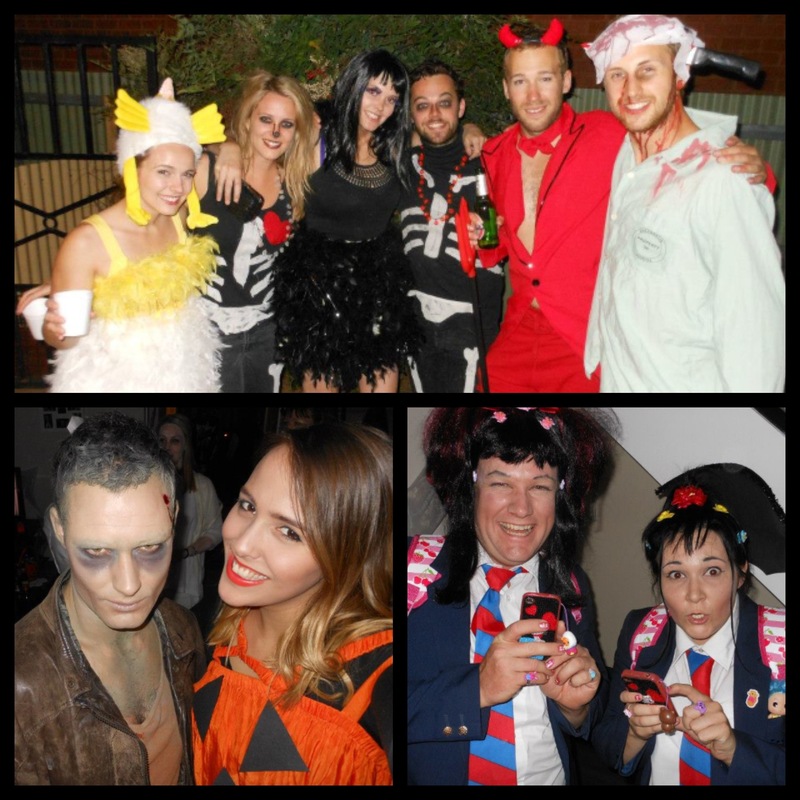 Just a couple of instagram pics from my (early) Halloween party on saturday night. 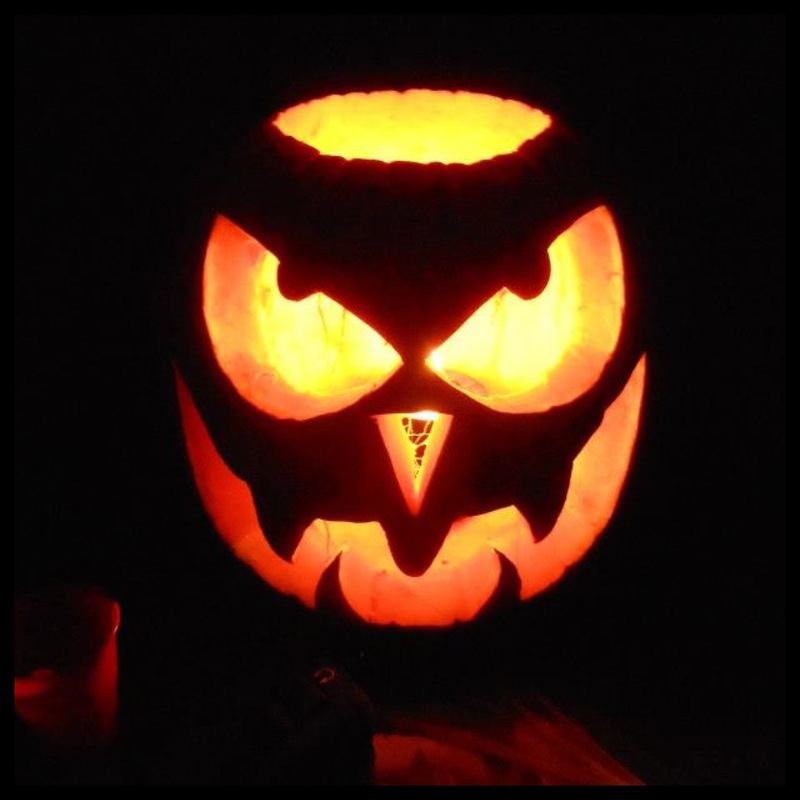 My boyfriend did an amazing job carving that pumpkin, which someone later trashed, much to my anger. 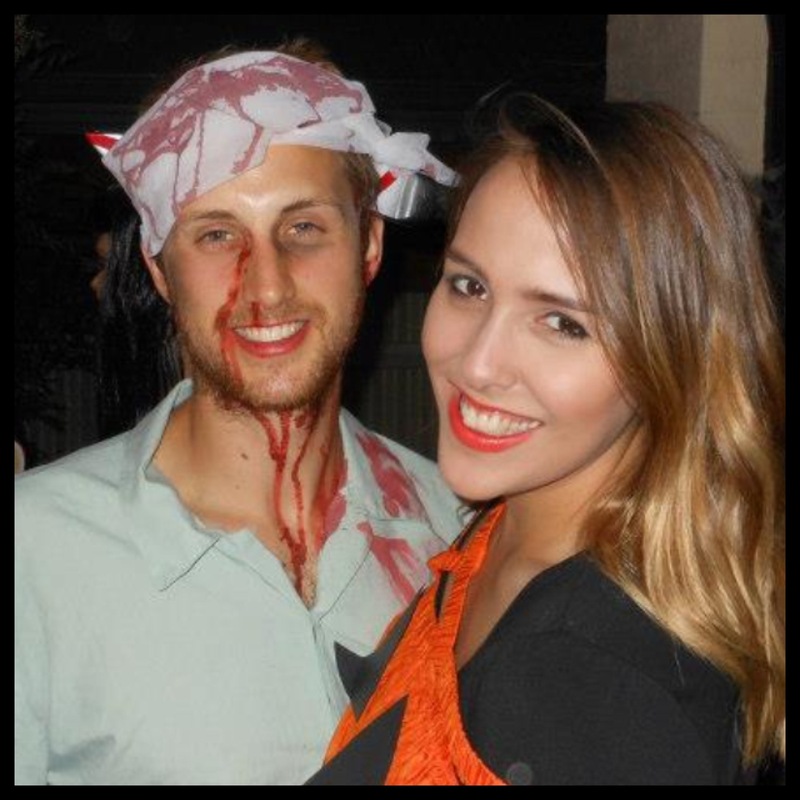 My last minute costume idea was thrown together half an hour before the party started when I finally arrived home from a week in Brisbane. 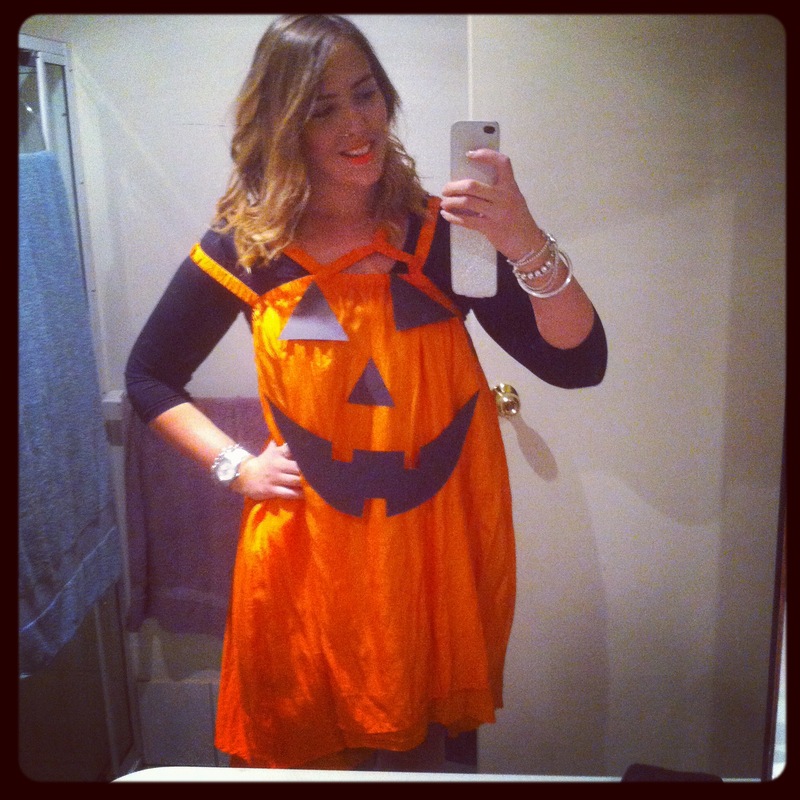 I pinned a jack o’lantern face on to a silk orange Kirrily Johnston dress from a few years ago, voila! It was such a great night, and everyone made an effort to get dressed up (I will never understand people who don’t like costume parties!). I wish we had taken some photos of the decorations. My housemates managed to buy an obnoxiously loud Halloween doorbell for $2, it is an evil pumpkin with a spider that shoots out when you press the button. Obviously it’s never coming down. 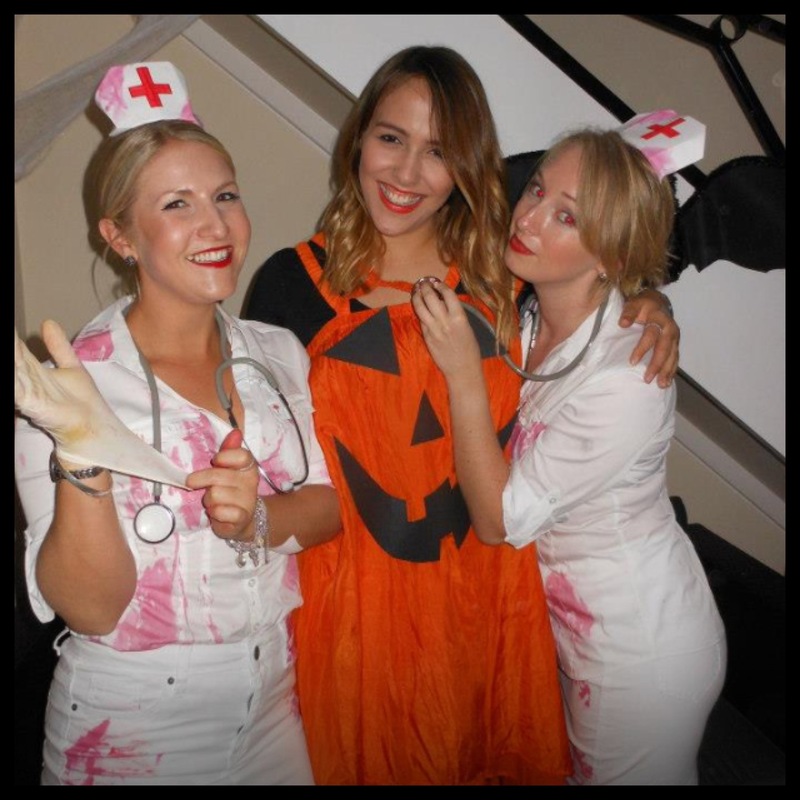 Are you celebrating Halloween at all? Do you go trick or treating? I’m going to buy some lollies just in case. This entry was posted in Misc and tagged Decorations, Halloween, Halloween costume, Jack o'lantern. Bookmark the permalink.